This west London stalwart is recognisable by its bold red frontage, with esteemed salons stretching from Parsons Green to Notting Hill. 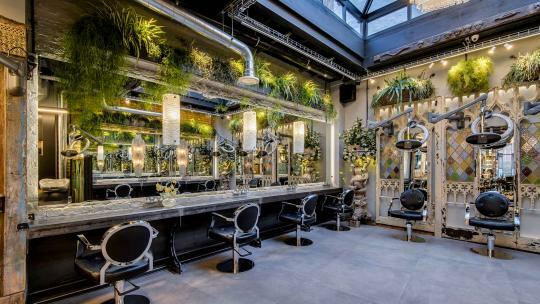 The new Fulham outpost encapsulates everything we love about Hari’s and is styled with a verdant living wall and unique hair Herb Bar. Here, you can try nourishing treatments including a lotus leaf glossing masque for strength and shine or a Gentle Magic Wash, which softens coarse hair and includes a heavenly 15-minute (!) head massage. The Parsons Green branch is also a local favourite, championing pin-sharp cuts and impeccable service. 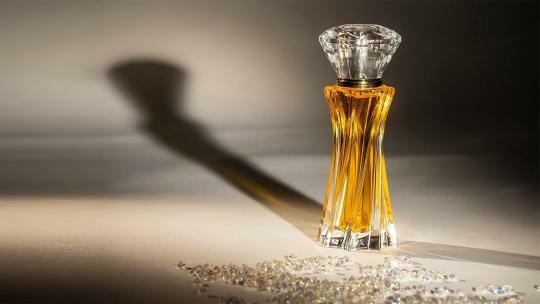 Whether visiting for a haircut, hydrating treatment or masterful blow-out, you’ll be utterly spoiled at Hari’s. 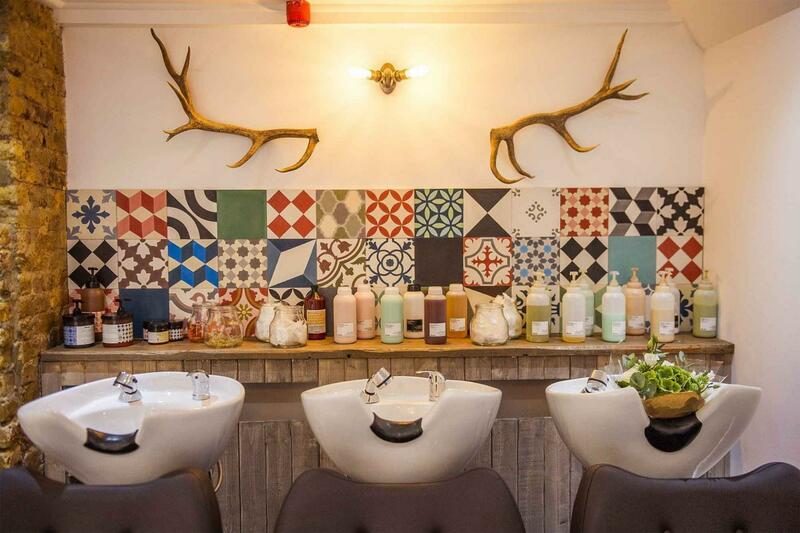 Blush & Blow is a pristine, all-encompassing hair and beauty parlour on New King’s Road near Parson’s Green. 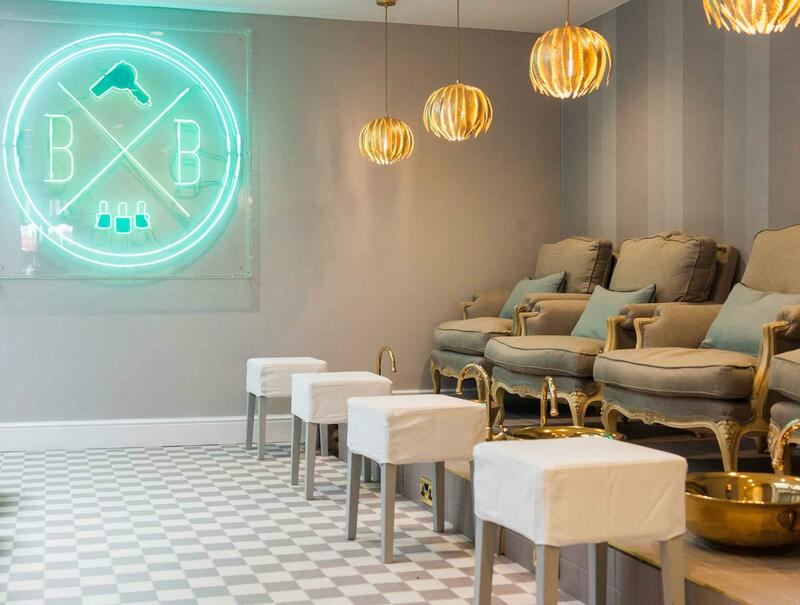 It offers a head-to-toe menu spanning blow dries, waxing, tinting, tanning and nail treatments, as well as the comfiest pedicure chairs in all of London. Customers can enjoy unlimited blow-dries for £185 per month, ideal for those seeking unending good hair days. The salon also has a menu of specialist facials, alongside micro-needling and chemical peels. 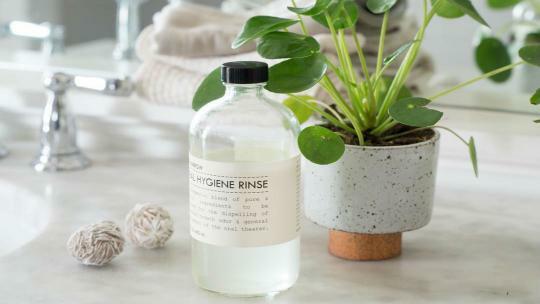 There’s often at least one pooch padding around Blush & Blow, including founder Bridget O’Keefe’s friendly Cavalier King Charles Spaniel called Pickles. 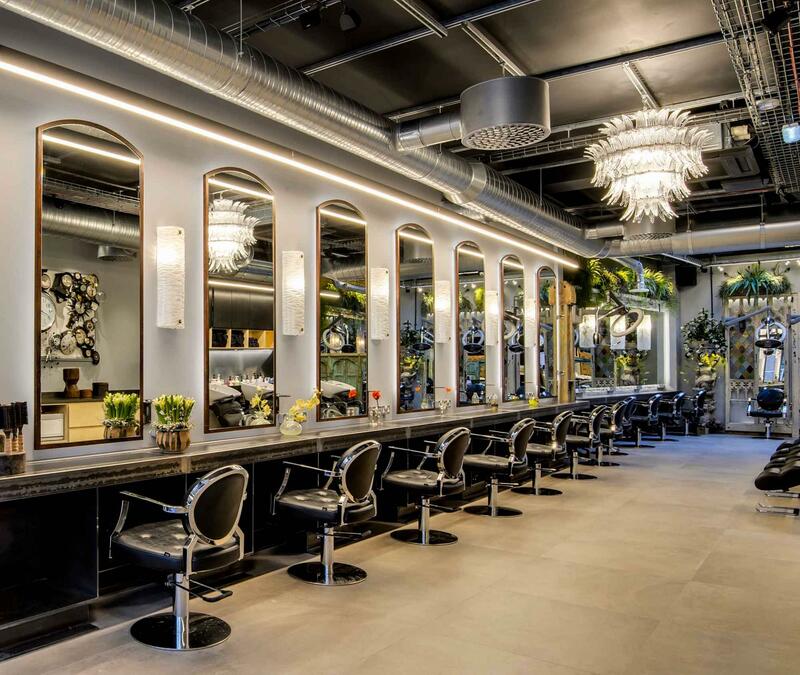 The handsome wood-clad Seed salon is well-stocked with Davines natural hair products, which align with the founders’ commitment to sustainability. Like the interiors, cuts at Seed are modern, laidback and immaculate. It is renowned for an enticing array of hair colouring options, ranging from pastel and neon hues to I-can’t-believe-it’s-not-real natural dyes. The salon boasts a secret back garden, where you can relax before or after your appointment, and visitors can also enjoy a range of beauty treatments including manicures, pedicures, waxing and facials. The Cavendish Clinic is the UK’s only aesthetic clinic founded by a group of consultant doctors, with four outposts in London. The premium Parsons Green clinic caters for every head-to-toe skin concern you can think of, from non-invasive treatments to cosmeceutical solutions. 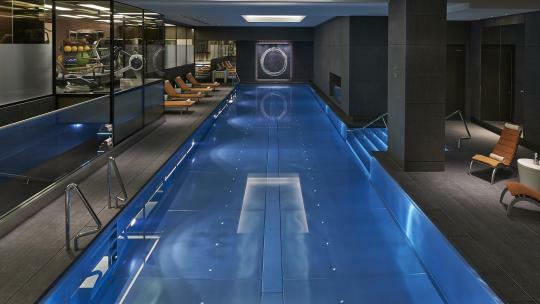 Meticulous care and cutting-edge technology are met by a relaxed environment, favoured by London’s elite.